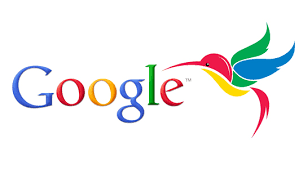 Whilst Panda and Penguin were both parts that were added to the Google search algorithm, Hummingbird is the algorithm. It still uses Panda and Penguin as factors, but if the algorithm were a recipe, they would be ingredients, and Hummingbird the recipe book. This was a massive overhaul of the whole algorithm, allowing Google to more easily identify the nature of a user’s query. They now use what we call LSI indicators (a fancy word for thesaurus, basically) that not only applies to the search query, but your website as well. Google’s algorithm can now identify more accurately what a user is searching for. A basic example, “places to eat” becomes “restaurants”. A more complex example, “places to buy pizza in Nottingham” becomes “restaurants in Nottingham (that serve pizza)”. Google is now able to distinguish that “places”, in the context of “eating”, means “restaurant”. It actually makes SEO a lot easier, as you no longer have to consider exact keyword matches as much. You can concentrate on creating unique, quality content, and the rankings will follow shortly thereafter. If you’ve written a good piece of content about your industry, there will be many words within it that Google will mark as relevant to the search query, even if they don’t match exactly. The reason this algorithm change was introduced was to encourage webmasters to stop focusing on keyword targeting, and start focusing on what is now considered one of the most important things for a website – user experience. It’s basically a reinforcement of what the Panda algorithm looks for.